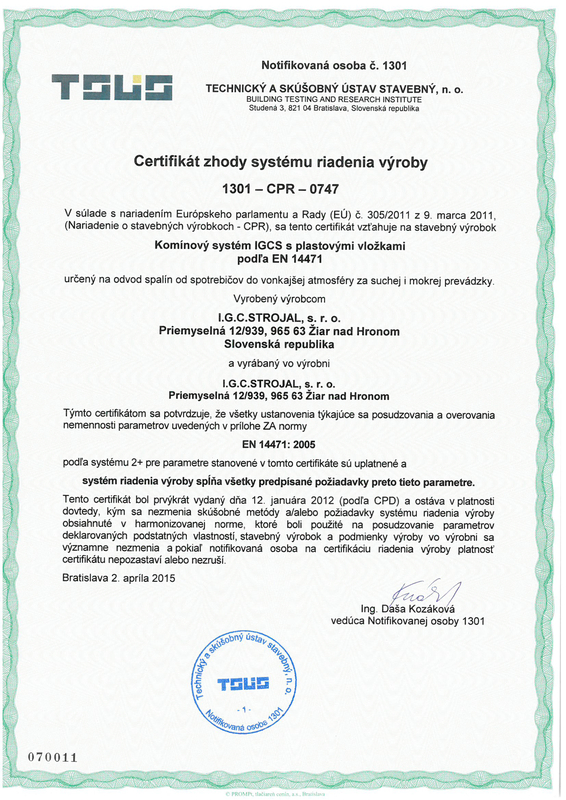 Company I.G.C. 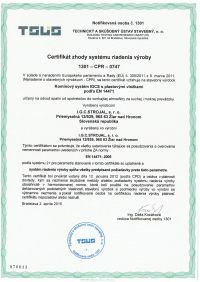 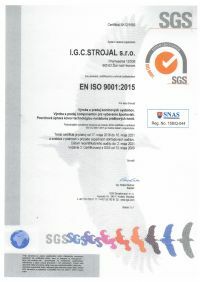 Strojal s.r.o., is a producer and a supplier of chimney systems. 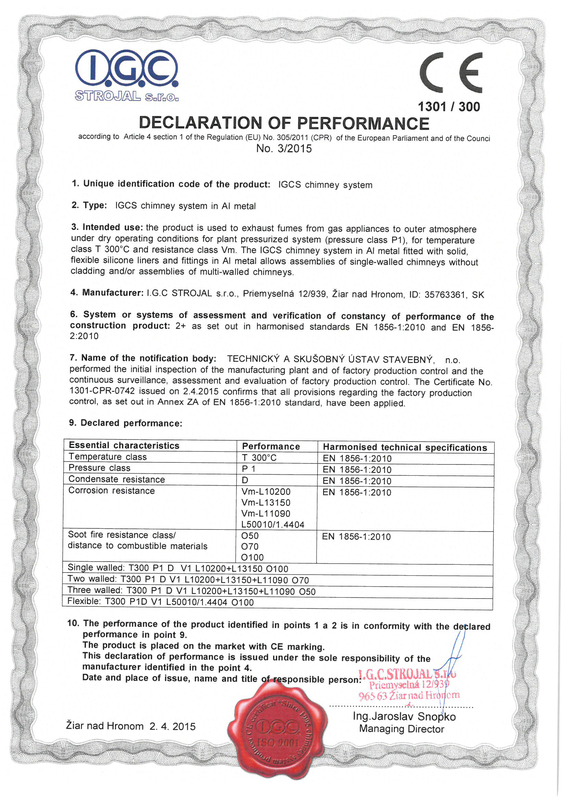 Our customer can choose from great number of aluminium and plastic chimneys in various dimension or variants suitable for attaching to all kinds of gas boilers that require safe drainage of smoke out off the object (including cascade chimney systems). 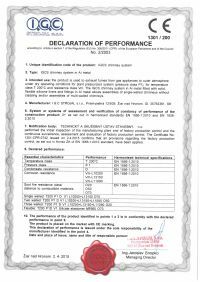 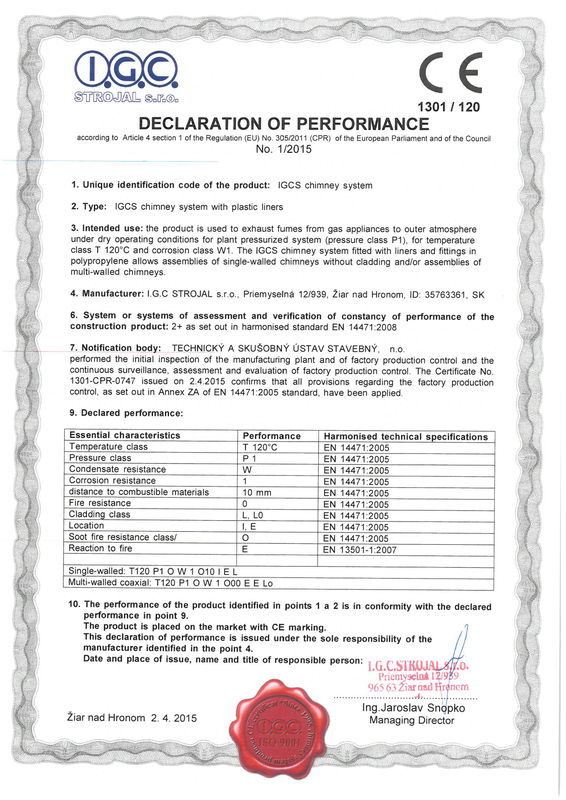 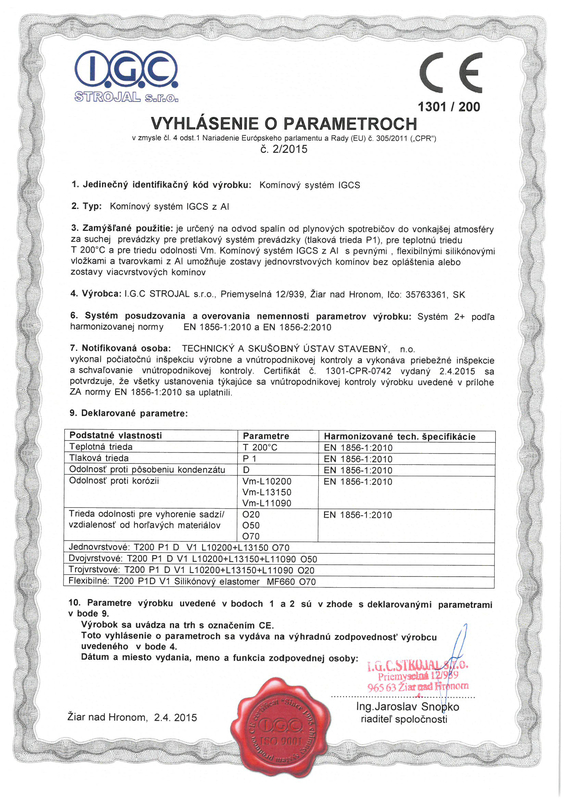 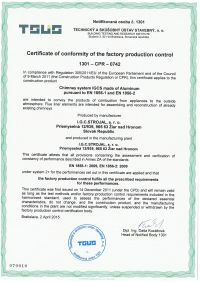 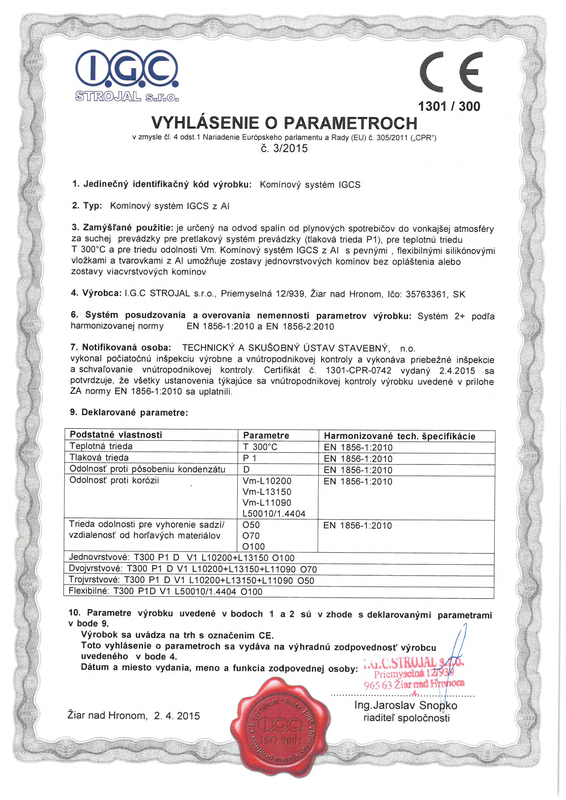 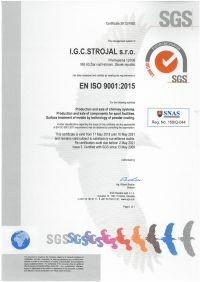 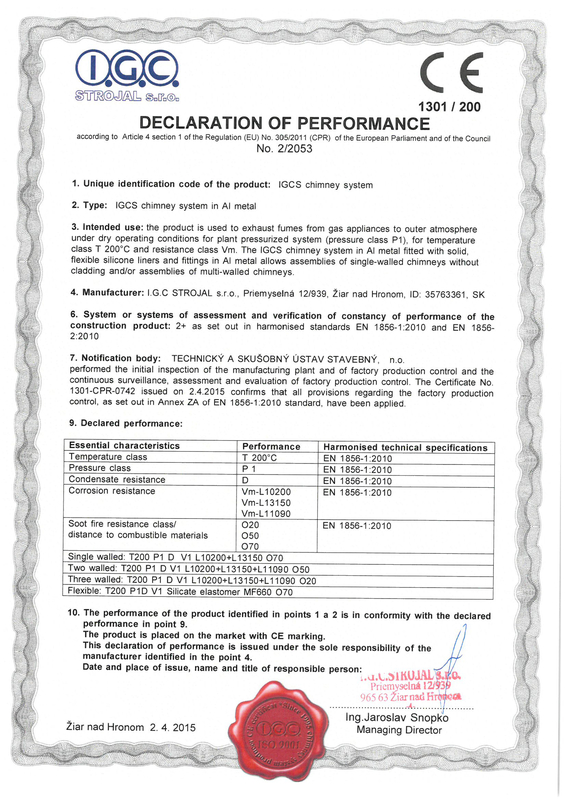 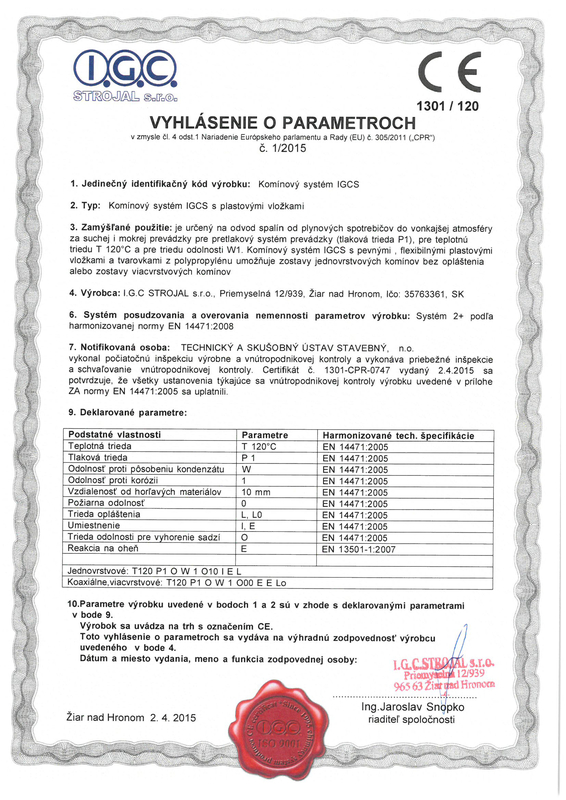 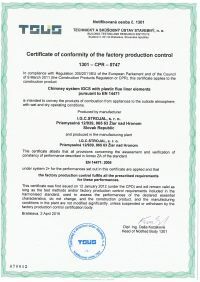 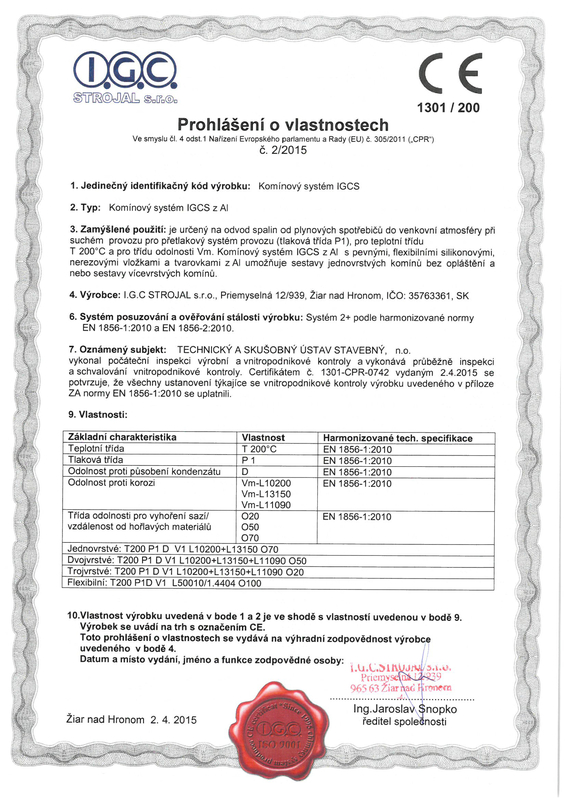 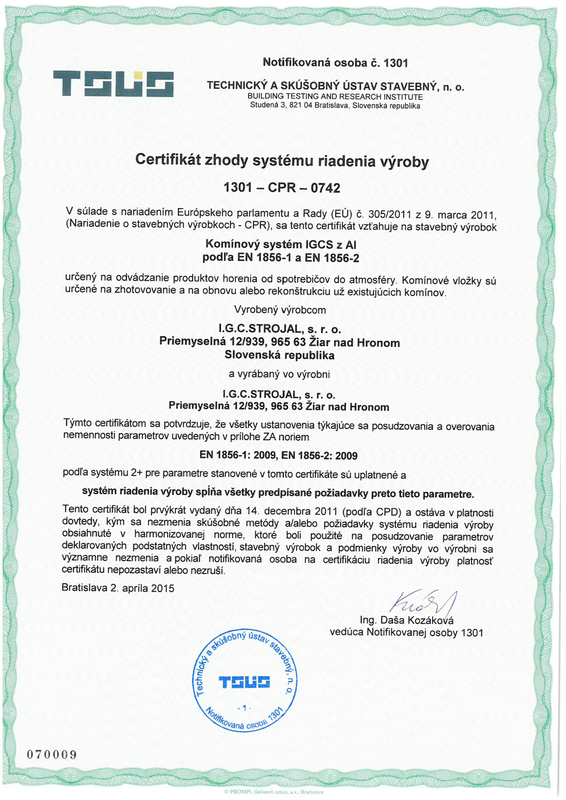 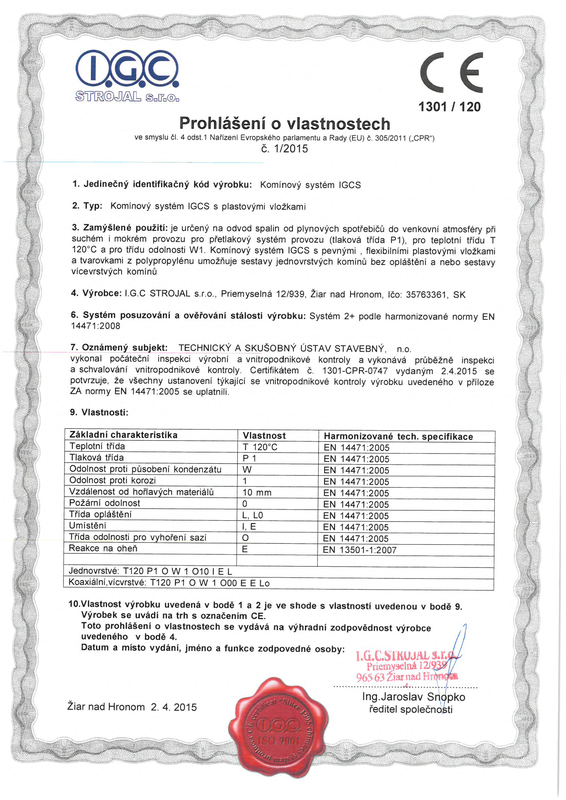 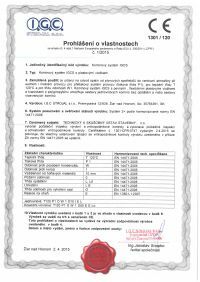 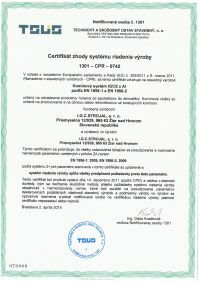 We are holders of certification of „Quality management system ISO 9001:2008“ and we are authorized to use mark of quality 1301 – ES certificate of conformity. Satisfaction of our partners and customers is guaranteed by constant innovation, new ideas and improvement. 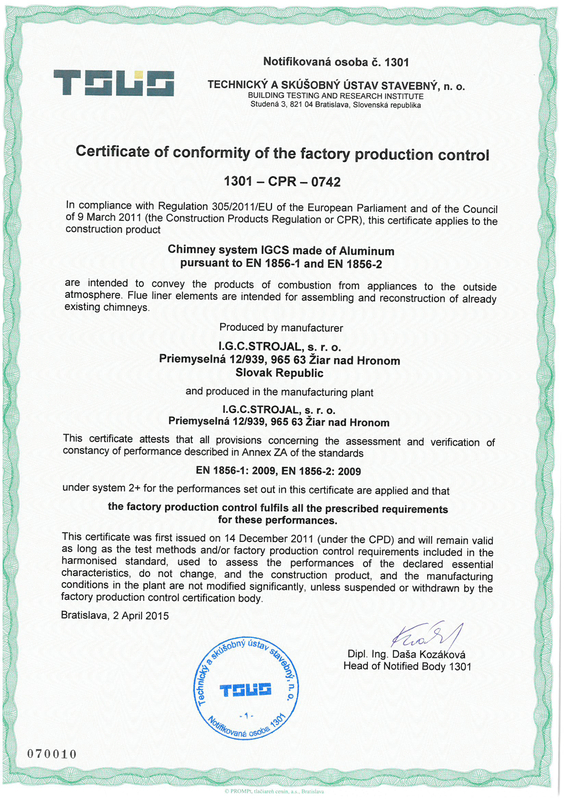 We also produce cascade chimneys and chimney systems for boiler rooms in industrial and multifunctional building. 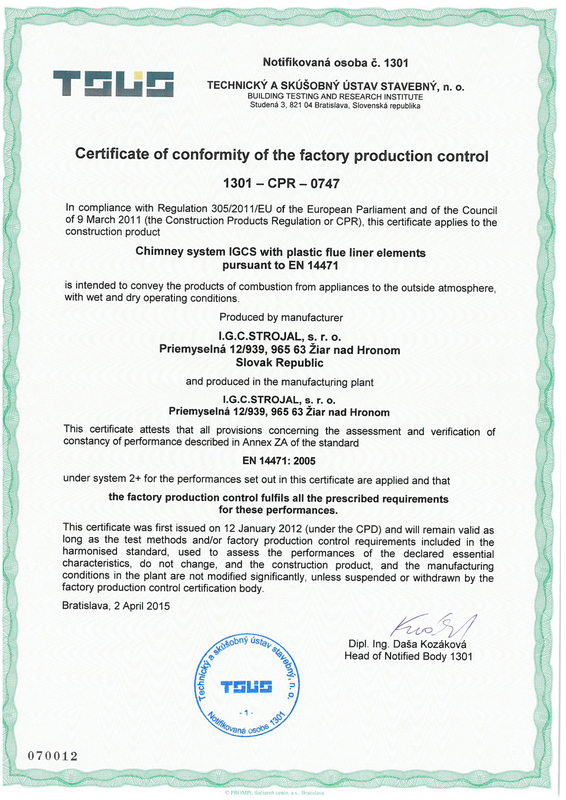 Our chimneys and chimney systems we supply to many European countries.